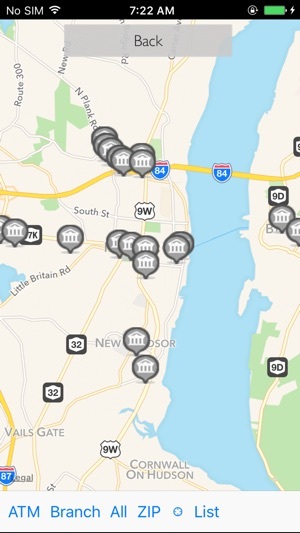 Bank on the go with Empire State Bank’s Mobile Banking App. 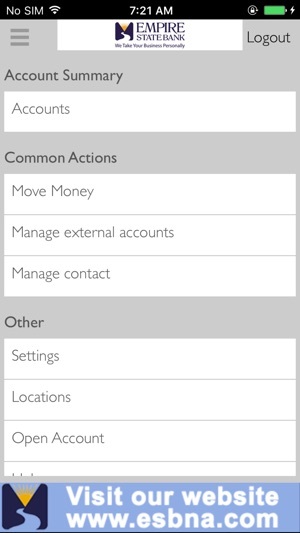 Manage your accounts from your mobile device when it’s convenient for you. 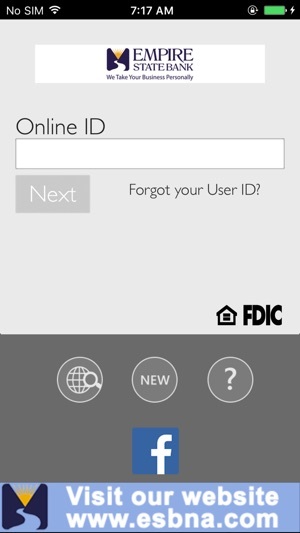 To use the Empire State Bank Mobile Banking App, you must be an Empire State Bank Internet Banking user. 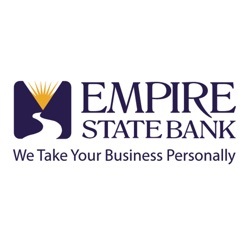 The Empire State Bank Mobile Banking App allows you to access your accounts using your existing Empire State Bank Internet Banking username and password. 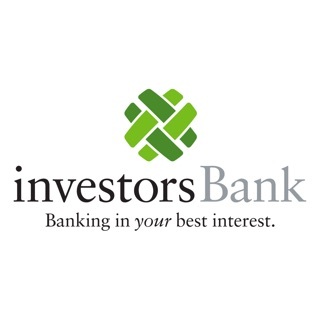 To register for Internet banking, please contact Empire State Bank at 1-866-646-0003 or visit your local Empire State Bank branch. 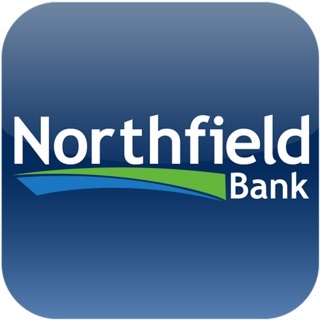 This new version includes several app enhancements and program maintenance items. The app will not work at all. You will enter all your logins and passwords and a notification will pop up saying "general error" and you are logged out. Useless app. Do not download.